I recently moved from an apartment in the city to a house in the suburbs outside Oslo. Although the plan is to rebuild a new house here it will have to wait until we can save up some more money. More about the new house can be found here http://smarthus.matvik.no/. This does give me the opportunity to turn an old ramshackle home into, not going to kid myself here with a proper smart home, but at least a smarter old ramshackle house. 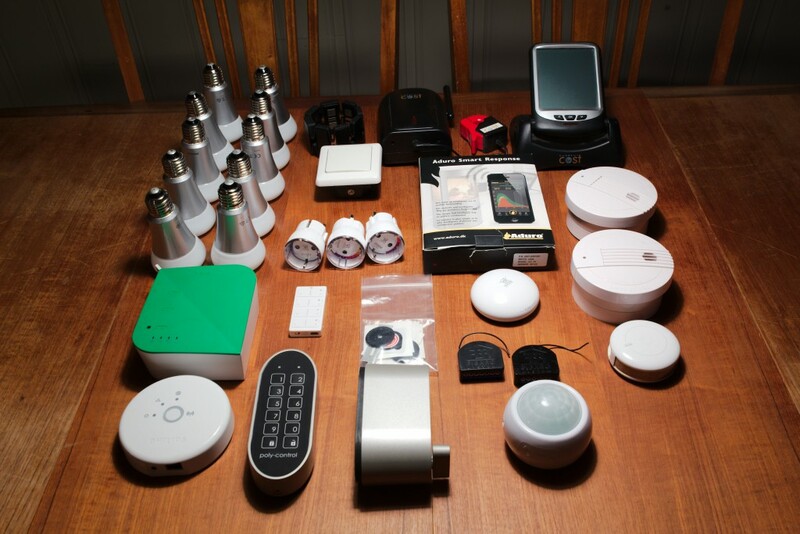 I took down all the gear that I had set up in the old apartment and laid it out on the table to get a view of the components that will form the basis of the smart home setup that I’m starting on.